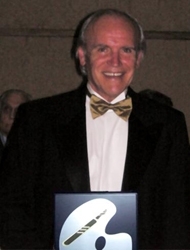 La Jolla, CA, December 02, 2008 --(PR.com)-- The International Phalloplasty Institute and the American Academy of Phalloplasty Surgeons are pleased to announce that Alexander Krakovsky, MD has been named as one of The 100 Best Cosmetic Surgeons of the World for 2008. Dr. Krakovsky was chosen for this award by the Scientific Committee for the 52nd Congress of the International Academy of Cosmetic Surgery. The award was given in recognition of Dr. Krakovsky’s significant scientific contribution to the development of Cosmetic Surgery as a new discipline around the world. The award depicts a golden scalpel on a silver artist’s palette. Dr. Krakovsky is internationally renowned as a traveling speaker in the areas of cosmetic, plastic and aesthetic surgery. In 2005, he was named one of the 100 Best Cosmetic Surgeons of the Millennium. Dr. Krakovsky is the only plastic or cosmetic surgeon to ever receive both the 100 Best Cosmetic Surgeons of the World award and the 100 Best Cosmetic Surgeons of the Millennium award. Other past honors include an Honorary Professorship at the South East Asia College of Cosmetic Surgery and an Honorary Membership in the French Society of Aesthetic Surgery. Dr. Krakovsky has presented his medical, scientific, and practical work extensively worldwide. He has published over 100 medical articles, and eight books and book chapters. Dr. Krakovsky has served as a presenter in over 60 medical meetings; as a consultant to numerous biomedical companies; and as a member of several Speakers Bureaus. In 2008, the Academy established an educational branch: the International Phalloplasty Institute, or IPI, which worked with insurance companies to create an insurable teaching program in the United States and abroad. It is the Academy’s goal to teach phalloplasty surgery to other medical specialists, and to help them to become eligible for affordable phalloplasty malpractice insurance by completing this program. The program is open to all surgeons who would like to learn how to perform phalloplasty surgery procedures correctly and safely. To learn more, please visit www.internationalphalloplastyinstitute.org or call 800-881-0460.